I arrived in San Francisco after stopping in Hawaii and I can safely say the thought of university after Waikiki was not entirely thrilling. Heading to the hostel on a train at 11pm didn’t give me much view of the city or it’s people, but once i got off at Powell station, being greeted by a homeless guy who doubled as a guide to my hostel, it definitely brightened up my mood! Hostel life worked out really well, I met at least 20 international students through it including my eventual room mates! 2 weeks were spent in the hostel, 2 weeks of endless Craigslist benders trying to find an apartment, countless hostel parties and exploring the city’s sites! The university is nothing like UTS, and nothing like a cliche American Pie frat party educational fail. That doesn’t take away from how great it is, it’s lush green spaces and lively student body ensure there’s always something going on around campus while the professors are very accommodating and grading here is ridiculously easy compared to Australia so constant hangovers producing average papers aren’t too concerning. But enough about uni, the real fun is exploring every neighborhood in this city and beyond! 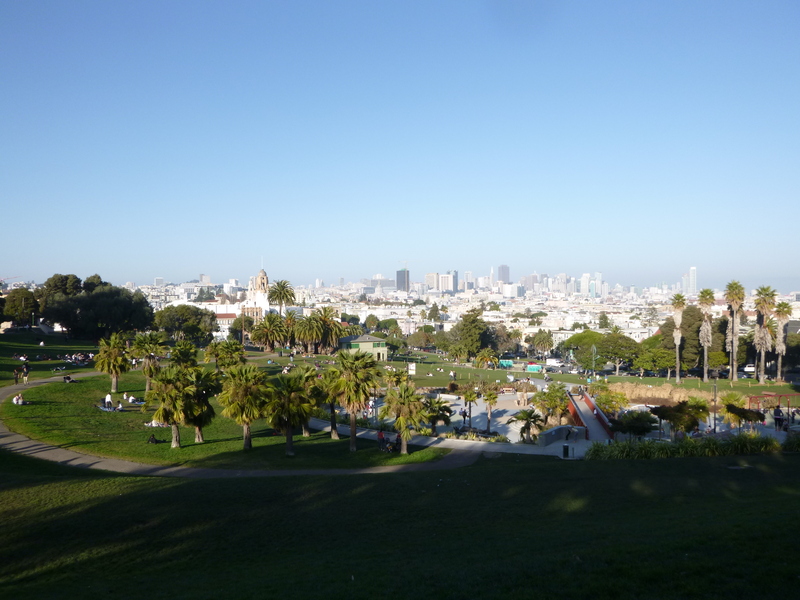 Dolores park is possibly the greatest place to hang out and do absolutely nothing. Yes, that’s not everyone’s cup of tea, but believe me when I say anyone and everyone will fall in love with the place. It overlooks the city between Castro (home of Q-bar $1 Monday night spirits) and Mission (more Mexican than Mexico), 2 neighborhoods that offer endless activities. People watching redefines entertainment, there’s enough private bakers of everything 420 to send you so high Felix Baumgartner would be envious and not to mention live music and people attempting to tan in 18 degree weather because the sun’s out. Perfect for a lazy Sunday. 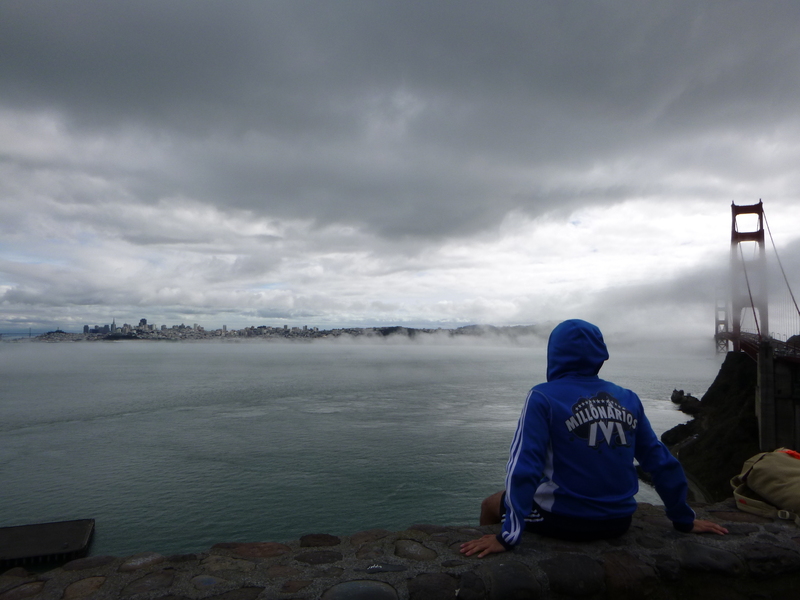 The Golden Gate bridge is spectacular, the photo above is from the other side of the bay looking at San Fran, bike riding across it is definitely the best way to check it out. The fog, that’s just normal daily life here in San Fran, it rolls in whenever and blankets the city at any hour it chooses, it’s eery and strange, but just another detail that makes San Fran, San Fran! NBA. This is a must, good seats will set you back a pretty penny, but if you’re lucky enough to sneak into members seating than you’ll enjoy the game that much more. 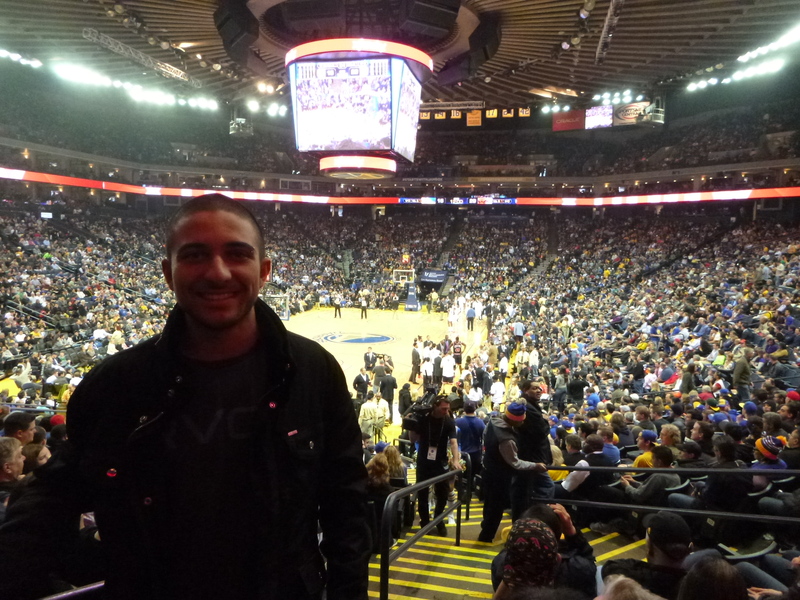 A train to Oakland full of chanting supporters, 14 rows from court side watching the Golden State Warriors take on Chicago Bulls, endless 3’s from Curry and a nail biting finish made this a definite highlight during my time here. ROAD TRIP! The first of 3 so far and many more to come, destination = Lake Tahoe! This place is amazing, the lake is bordered by snow capped mountains and sand that freezes at night, strange but awesome. 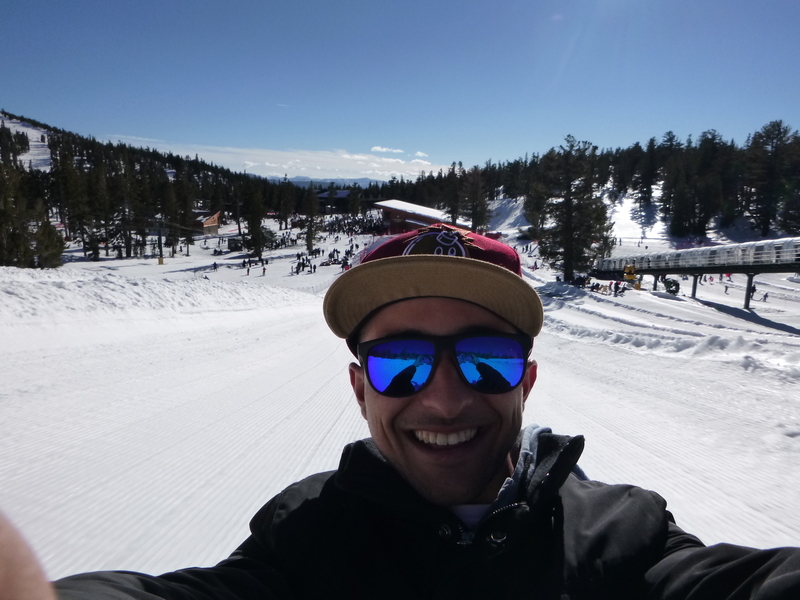 Ski fields are plenty and you’re on the border of Nevada so Casino’s and partying by night is well worth the trip. I’m going to tie it up now. 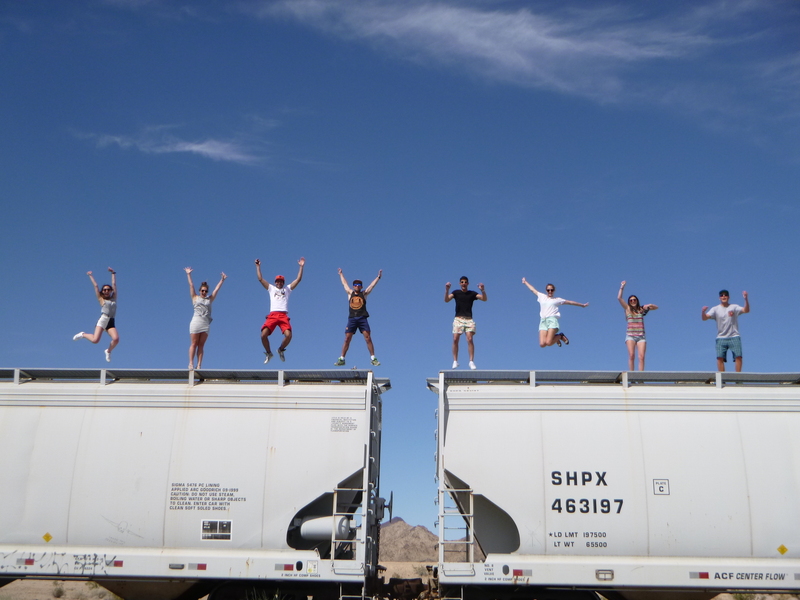 This is taken on an abandoned train somewhere in Arizona on our Spring Break Roadtrip! 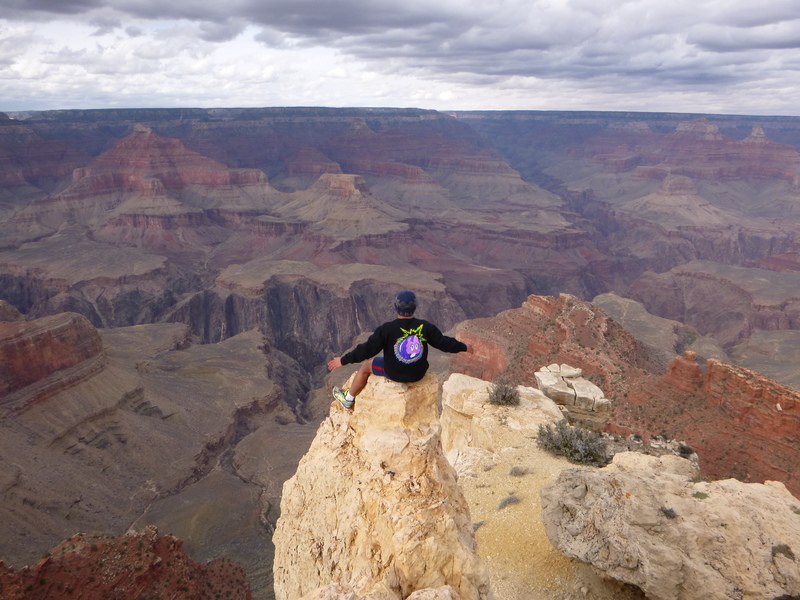 We cruised highway 1 (scenic is an understatement) down to Venice Beach in LA, partied our bodies into the ground at Lake Havasu and i’m currently writing this from our hotel at the Grand Canyon, which words cannot encapsulate, it’s beyond colossal and truly humbling. Next stop is Vegas and then back to finish off the back half of the semester at SFSU, a university that has provided me with the opportunity to experience all these wonderful things. You’ll meet some of the greatest people, you’ll share endless experiences and fall in love with San Fran. Get your application in, you won’t regret anything!